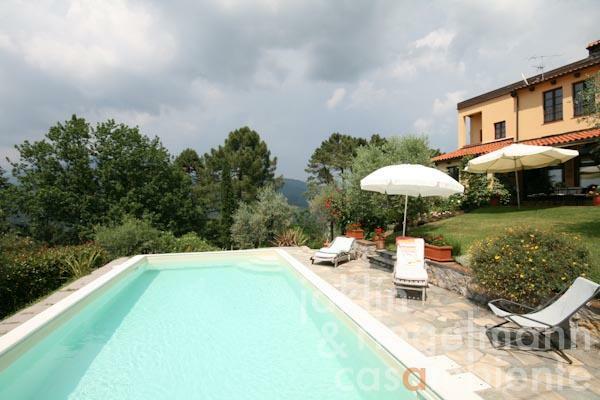 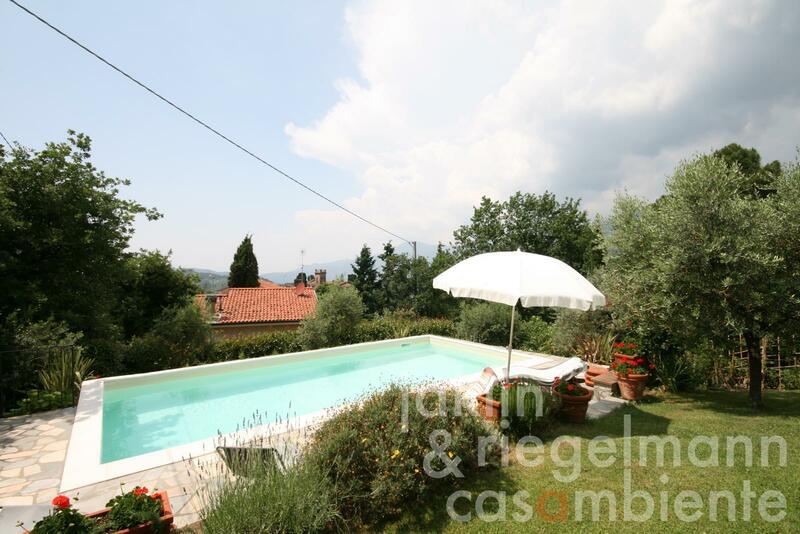 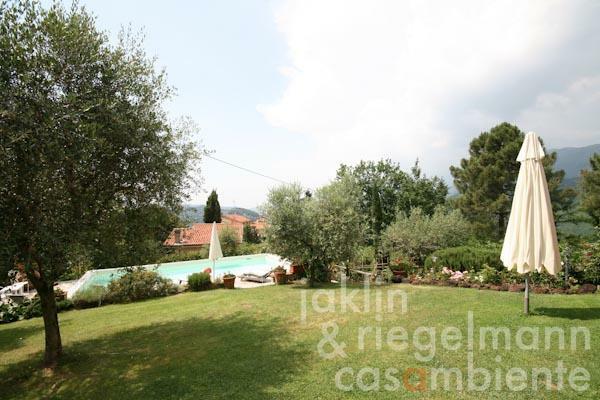 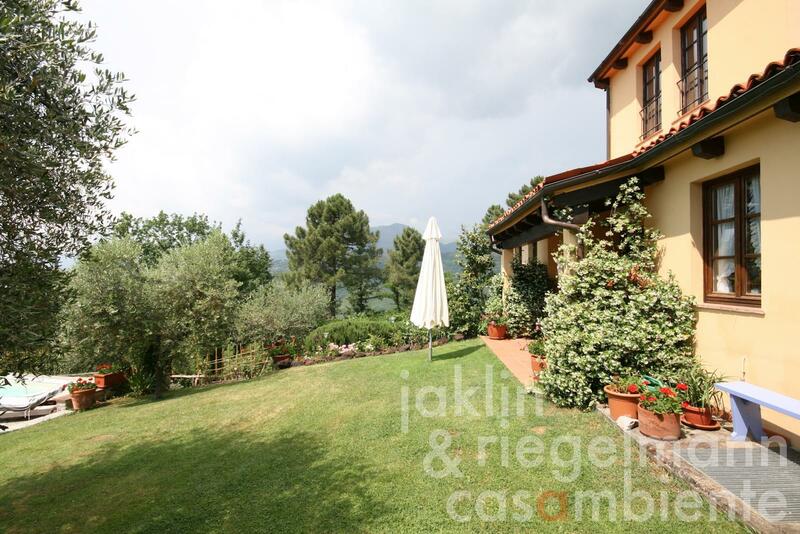 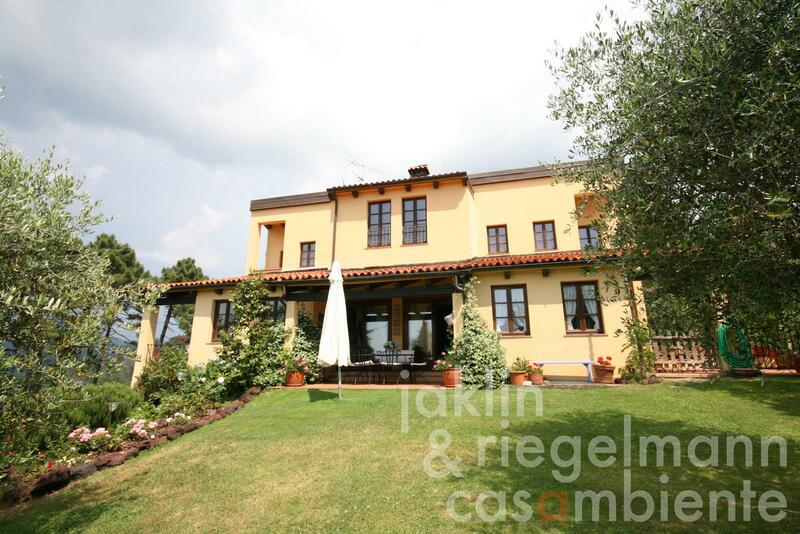 Villa for sale amidst the green hills in the hinterland of Viareggio and Forte dei Marmi in Tuscany. The panoramic view from the house and property goes across a historic hamlet, the surrounding hills and the sea. 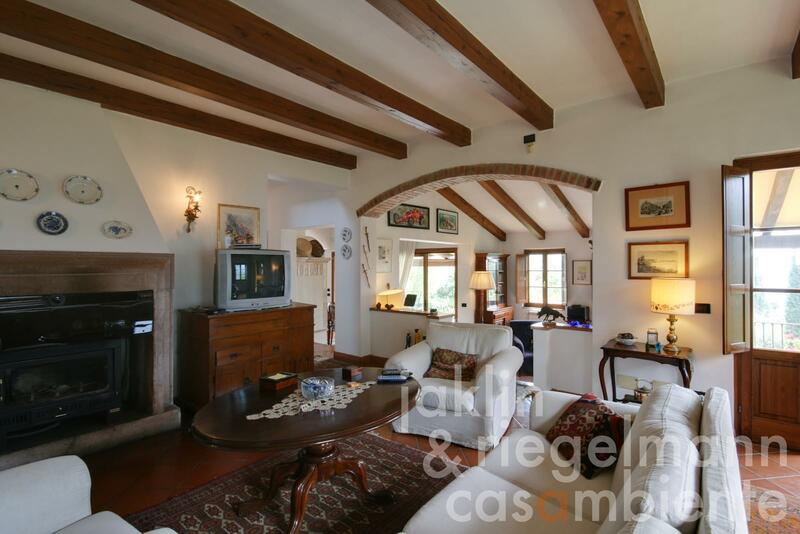 The property for sale is situated above the hamlet where the access road ends, ensuring privacy and tranquility. The surrounding plot comprises a beautiful garden with swimming pool, Mediterranean plants and olive trees. The villa was built in the 90s, is well-kept and in good conditions. 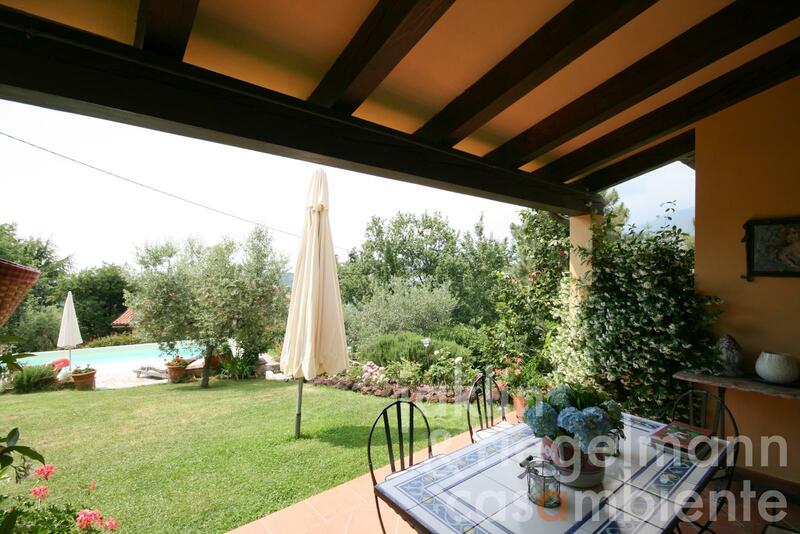 The villa provides a spacious and open-space living-, dining and cooking area on the ground floor with direct access to three terraces on south, west and north. The upper living room features a fireplace, the lower dining area merges into the kitchen, terraces and the garden on west. 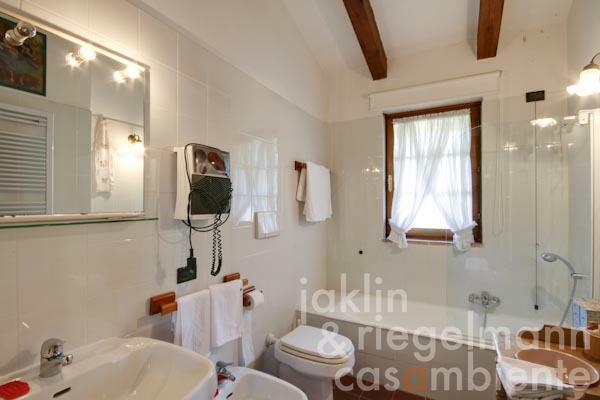 A bathroom, storage room and a studio complete the ground floor. 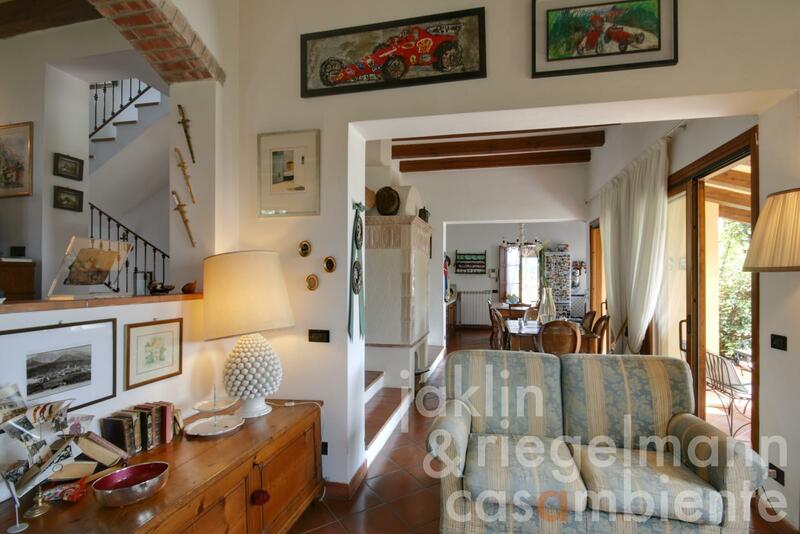 Stairs lead to the upper floor with three bedrooms and two bathrooms (one en-suite). 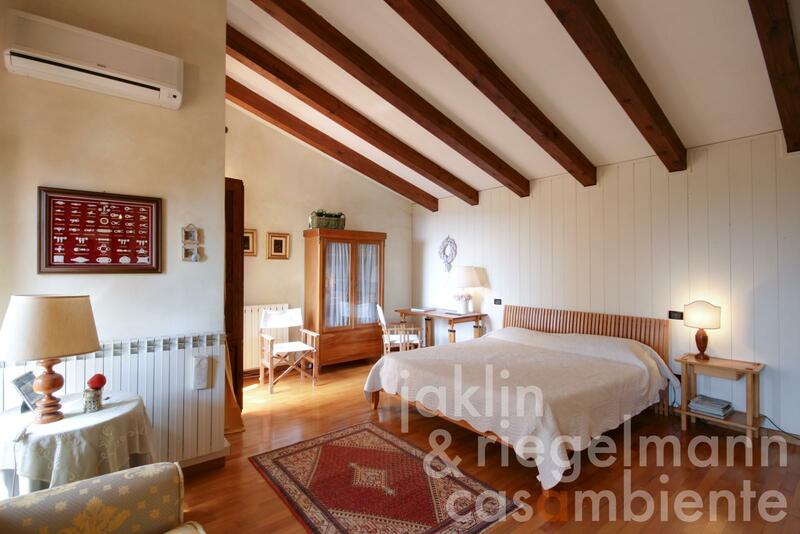 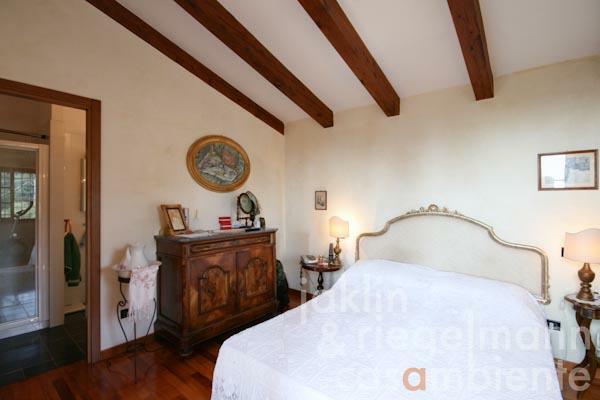 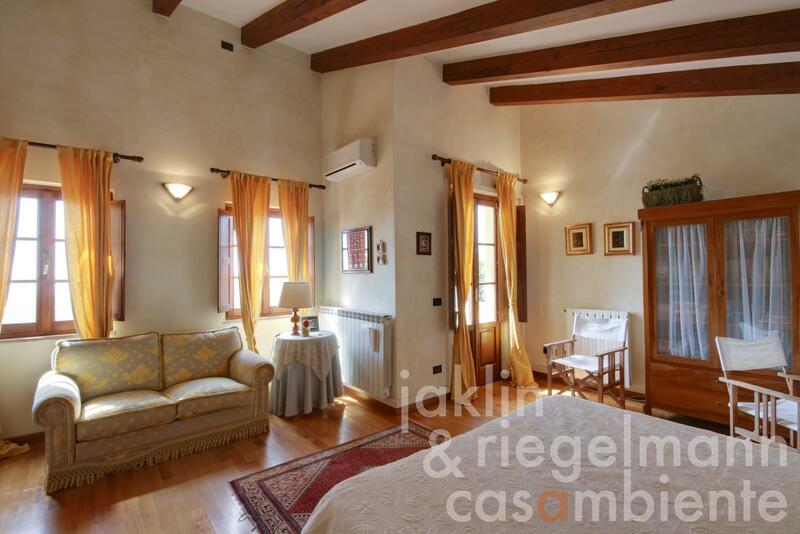 Two bedrooms on the upper floor have panoramic terraces with sea view. The lower floor consists of several cellar- and storage rooms, a garage and a separate apartment, also with access to a terrace and the garden. 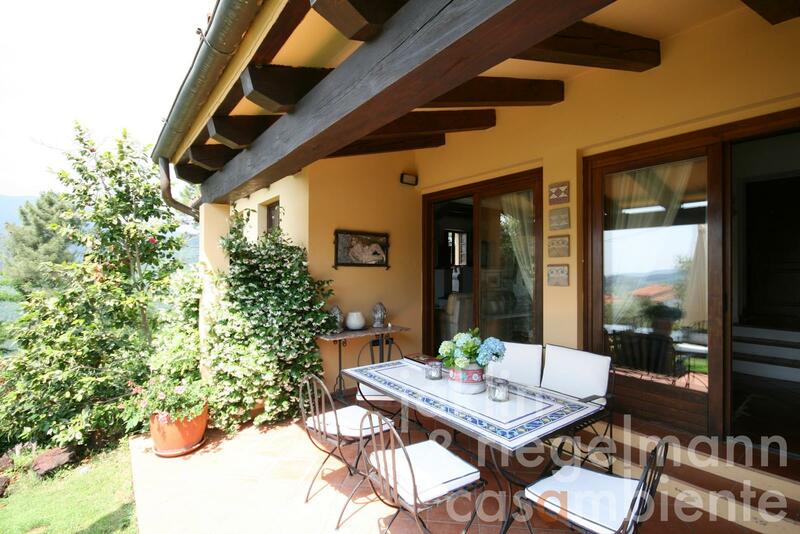 The town Viareggio and the beaches are about 14 km away. 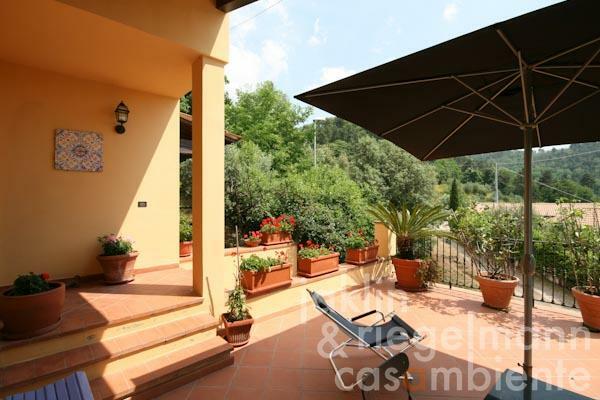 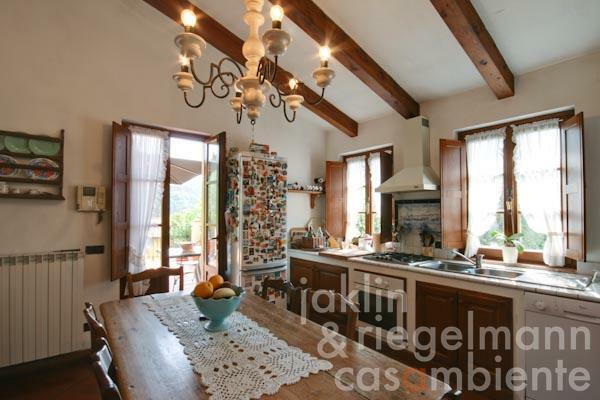 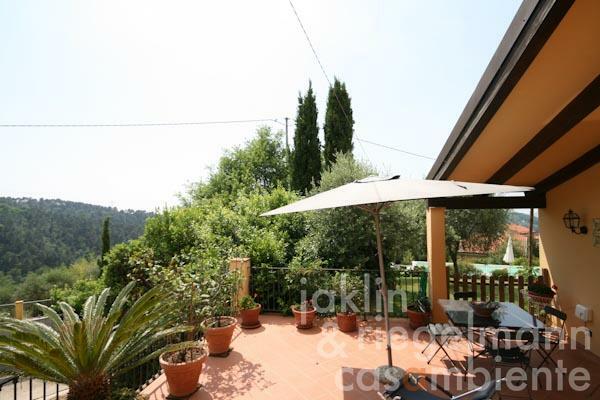 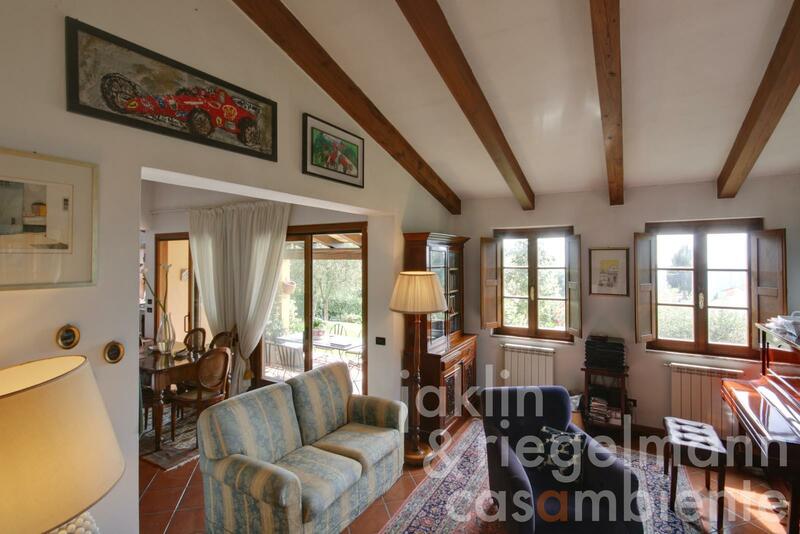 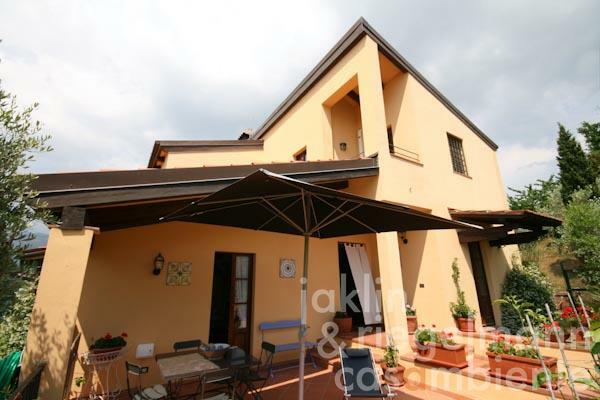 The motorway A11 (Florence-La Spezia) is about 9 km and the famous town Lucca only about 20 km away from this property for sale. Electricity, mains water, central heating, fireplace, air conditioning, gas connection, telephone, broadband internet access, satellite-TV, alarm system, swimming pool, garage, terrace, garden.